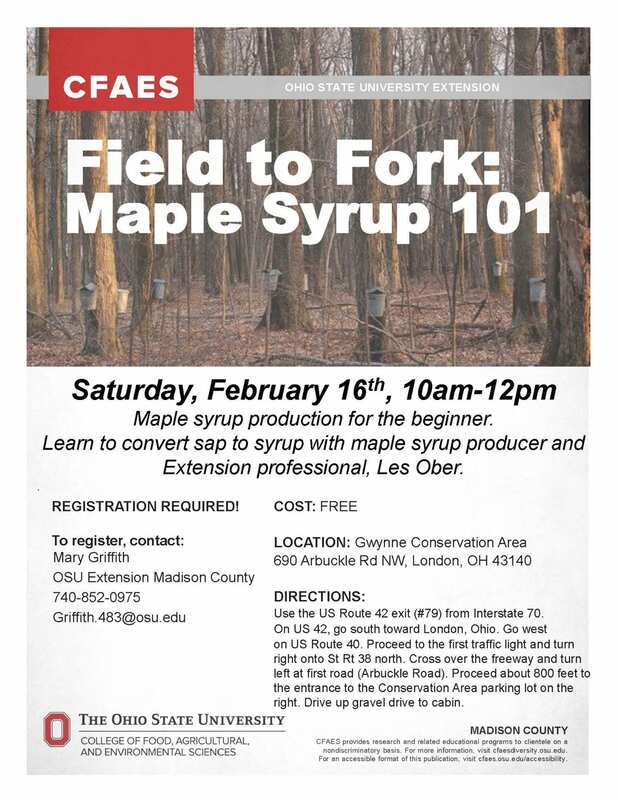 Free class on Maple Syrup Production on Saturday February 16th. There will be a free workshop on the basics of making maple syrup in Madison County at the Gwynne Conservation Area. Registration is required. Posted by Timothy McDermott at 7:27am Posted in Events. Bookmark the permalink.